The massive attraction has toured through the United States, and now it's Colorado's turn. 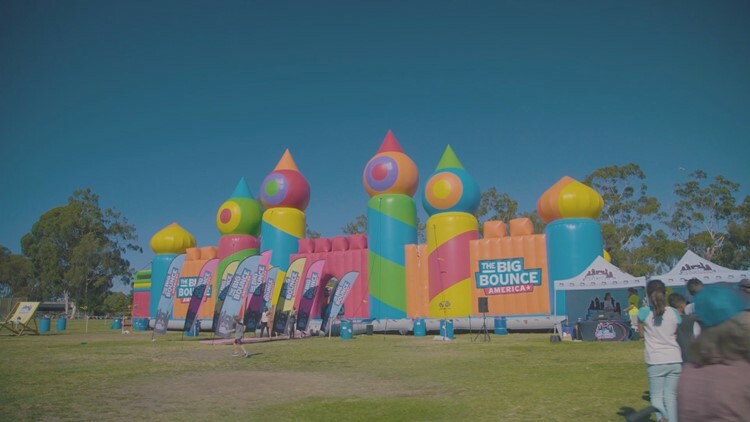 The Big Bounce America, the self-proclaimed largest bounce house in America, will bounce (not literally, though) into Colorado this weekend. Catering to adults and kids alike, the 20,000-square-foot bounce-venture touts an obstacle course, basketball courts, a ball pit and even a DJ. It will land in Lone Tree on May 25 for the weekend. The massive attraction has toured through the United States, most recently stopping in Charleston, South Carolina and San Jose, California. During summer months, bounce houses and the safety surrounding them often come under scrutiny. According to the Child Injury Prevention Alliance, the number of inflatable bouncer-related injuries treated in hospital emergency departments in the U.S. has skyrocketed in the last 20 years. CIPA said these injuries now equal more than 30 children a day, or about one child every 45 minutes. A 2012 study from the American Academy of Pediatrics concluded the number and rate of inflatable bouncer-related injuries in kids under the age of 17 have increased rapidly in recent years. Four years ago, a bounce house with two children inside caught air and took off in a Littleton field during a lacrosse game, blowing it about 300 feet. Both kids were only slightly injured. 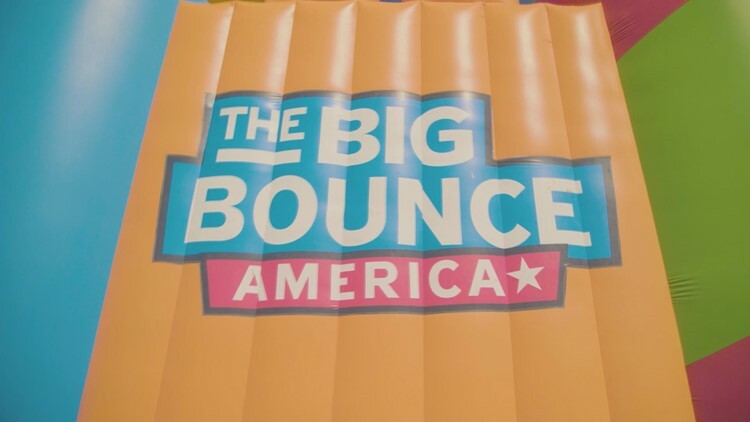 The Big Bounce America | Tour Promo 2018 | Family Focus from The Big Bounce America on Vimeo. A spokesperson with The Big Bounce America told 9NEWS they take precautions so incidents like the one in Littleton don't repeat, even going as far as canceling events in the case of inclement weather like rain and wind. "The event is staffed with marshals and trained crew members, wearing brightly colored safety vests that are positioned throughout the inflatable," a spokesperson for the company said. "We want to ensure that everyone participates in a responsible manner while enjoying the party atmosphere." The sessions are also structured by age groups, fragmenting toddlers, bigger kids, juniors and adults, which is classified as anyone older than 16. CIPA said steps like this help up the overall safety of all bounce houses. "If more than one child will be on the bouncer at the same time, make sure that the children are about the same age and size (weight)," its website says. Place the bouncer on a flat surface and remove all rocks, sticks, or objects such as sprinkler systems sticking up from the ground before setting it up. Make sure there is open space around all sides of the bouncer, away from tree branches or power lines. If the bouncer will be set up on a hard surface, place a soft surface around the entrance/exit of it. Check out the company's Better Business Bureau rating. Also, check that it has adequate liability insurance and make sure you get in writing what the company is and isn't liable for.